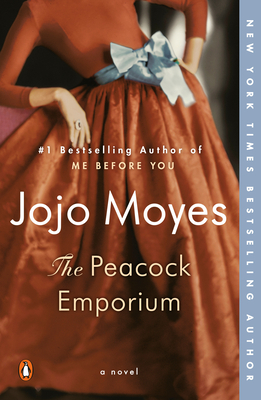 An early work from the #1 New York Times bestselling author, Jojo Moyes, the story of a young woman who opens an eclectic shop and comes to terms with the secrets of her past. In the sixties, Athene Forster was the most glamorous girl of her generation. Nicknamed the Last Deb, she was also beautiful, spoiled, and out of control. When she agreed to marry the gorgeous young heir Douglas Fairley-Hulme, her parents breathed a sigh of relief. But within two years, rumors had begun to circulate about Athene's affair with a young salesman. Thirty-five years later, Suzanna Peacock is struggling with her notorious mother's legacy. The only place Suzanna finds comfort is in The Peacock Emporium, the beautiful coffee bar and shop she opens that soon enchants her little town. There she makes perhaps the first real friends of her life, including Alejandro, a male midwife, escaping his own ghosts in Argentina. The specter of her mother still haunts Suzanna. But only by confronting both her family and her innermost self will she finally reckon with the past--and discover that the key to her history, and her happiness, may have been in front of her all along. Jojo Moyes is the #1 New York Times bestselling author of After You, Me Before You, The Horse Dancer, Paris for One and Other Stories, One Plus One, The Girl You Left Behind, The Last Letter from Your Lover, Silver Bay, and The Ship of Brides. She lives with her husband and three children in Essex, England.